Recent Budget and Autumn Statement announcements have sought to include a variety of tools to assist and support employers and their staff. 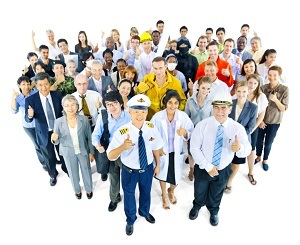 In this article we summarise the key changes that employers should be aware of in 2015. From April 2014, most businesses and charities have been entitled to a £2,000 Employment Allowance per year towards their employer National Insurance contributions bill. The allowance has been particularly helpful for small businesses who want to hire their ﬁrst employee or expand their workforce. Under current plans, it is due to come to an end in March 2016 and time is running out! The personal allowance for 2015/16 rises to £10,600 from £10,000 in 2014/15. This should mean most employees have a tax code of 1060L unless they have less straightforward circumstances, like they have adjustments in their code or multiple jobs/ pensions. Unusually this year, employees’ National Insurance contributions (NICs) will arise before employers’ NICs. Employees' NICs will be triggered when their earnings reach £155 per week, and employers will not pay NICs until £156 per week. From April 2015, employers will not be required to pay Secondary NICs for employees under the age of 21 years. This applies where their weekly earnings are under a new Upper Secondary Threshold (under 21) (UST), which for 2015/16 is £815 per week. Class 1 Secondary NICs will apply on all earnings above the UST. But for an employee earning £12,000 per annum, this could save the employer over £500 for 2015/16. From April 2016 this measure will be expanded to include apprentices up to the age of 25. From April 2015, 10% of the personal allowance (of £10,600) is transferable between married couples or civil partners. The partner giving up their personal allowance must have income of less than the personal allowance, and the recipient must be a basic rate taxpayer (income of £42,385 or less). This means the maximum saving available is £212, being £1,060 x 20%. The partner receiving the allowance will gain £1,060 of tax free pay and have a code letter of ‘M’, rather than the usual ‘L’; the partner giving the allowance will lose £1,060 of tax free pay and have a tax code letter of ‘N’ rather than the usual ‘L’. Presently, zero emission vans do not create a benefit in kind charge. Unfortunately legislation will be introduced in Finance Bill 2015 to gradually phase in a van benefit charge for such vans. The van benefit charge for zero emission vans will be 20% of the normal van benefit charge in 2015/16, 40% in 2016/17, 60% in 2017/18, 80% in 2018/19 and 90% in 2019/20. From 2020/21, there will be a uniform van benefit charge which will apply to all vans irrespective of their emissions. The maximum appropriate percentage for diesel cars will increase from 35% in 2014/15 to 37% for 2015/16. Given the enormity of the changes, auto enrolment has been gradually phased in, with the largest employers going first. From April 2015, it will be the turn of employers with less than 50 employees but phasing in the smaller employers will be done much more gradually. By now, you may have received a letter from the Pensions Regulator telling you what your staging date is and to nominate a contact. If you’ve decided who should receive the help and guidance from the Pensions Regulator, enter their details online here. Since April 2013, employers have been reporting PAYE information to HM Revenue & Customs in real time- referred to as Real Time Information (RTI). This means that employers (or their accountant, bookkeeper or payroll bureau) send details to HM Revenue & Customs every time they pay an employee, at the time they pay them using payroll software. However, there is a concession for existing micro employers with nine or fewer employees, who need more time to adapt. Rather than having to report in real time, these employers can file monthly, on or before the last payday in the month until April 2016. This concession is only temporary and it has limited application. All new employers, as well as existing employers with 10 or more employees, are required to report payroll information in real time. Legislation was due to be included in Finance Bill 2015 to provide a statutory exemption from tax for qualifying trivial benefits in kind costing £50 or less. There were also plans to introduce an annual cap of £300 for office holders of close companies, and employees who are family members of those office holders. Unfortunately, as a result of recent discussions at the end-of-Parliament wash up process, the exemption has been deferred. Our payroll software is RTI-compliant and we’re able to offer our clients access to a pension scheme that is ready for auto enrolment. Needless to say, we can manage your day-to-day payroll requirements; even if your employees are on sick, maternity or paternity leave. We’ll also handle the payroll year end for you, including any benefits and expenses forms due. Contact us today to find out more about our services for employers and how they can benefit your business on 0800 0523 555.